So let’s update on things that have been happening in the last few weeks. Running – I’m on my 3rd week of running! I’m using the Couch to 5k app from C2KFree and it’s been really helpful. I made myself go over week 1 twice so that I could do a whole week’s worth of workouts without stopping so technically I’m on week 2’s workouts right now. The first day was awful. Even though I work out, I’m not used to running and I basically felt like I was going to die. But I didn’t give up! I’ve been running outside and on the treadmill. I’m not going to be the fastest runner but by George I’m going to keep at it. Soccer – World Cup is over but I got to go to my first MLS game thanks to one of my friends. 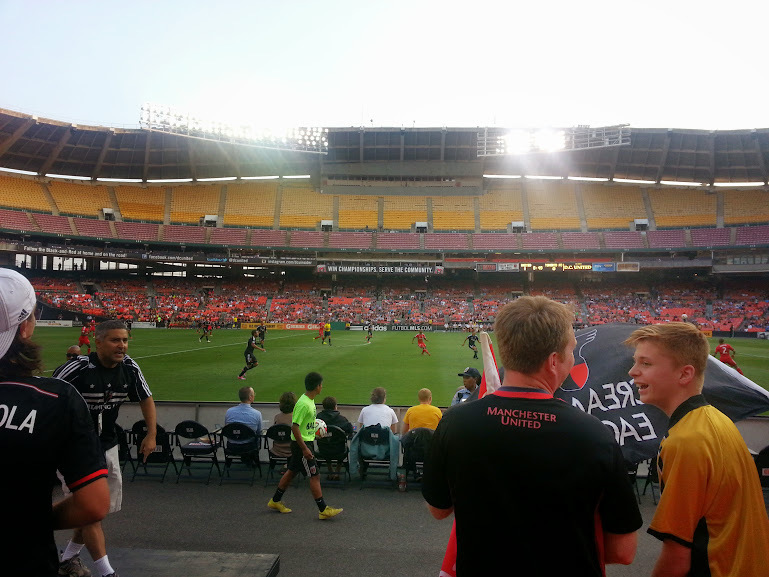 We saw DC United take on Toronto FC. Our seats was in the supporters section and those fans are intense! Be prepared to get drenched in beer if DC scores which meant I got covered in beer three times. Michael Bradley from the USMNT was playing for Toronto so that was super exciting. D&D – We started our campaign and I had a blast! Since we’re playing with a starter set, the story was preset though our DM tells stories very well and can ad lib on the spot. Our adventures went a little crazy because our wizard decided to go off on his own while the rest of us was battling wolves and goblins. Because of his decision we ended up getting attacked by everything in a cave with most of us basically dying before the day was over. I also now have a reputation of being a wolf slayer. There was a room with three wolves on leashes. The wizard put one of the wolves in an enchanted sleep. To save another member of our party, I shot and killed one of the wolves with my bow and arrow. And then I beheaded the sleeping wolf with my sword. Apparently it was pointless and I didn’t need to do it and I killed a defenseless animal. Sigh. I still had a lot of fun and our next session is at the end of month. 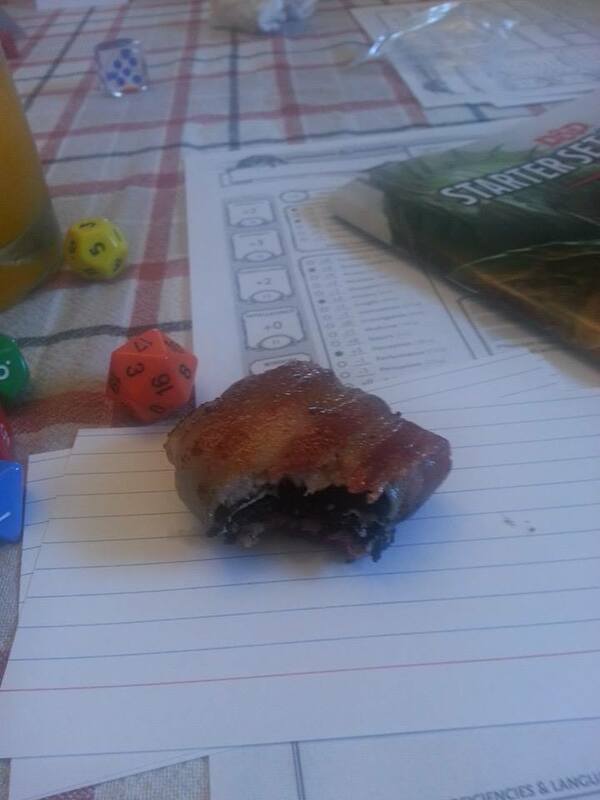 We also indulged in a bacon wrapped Oreo each. 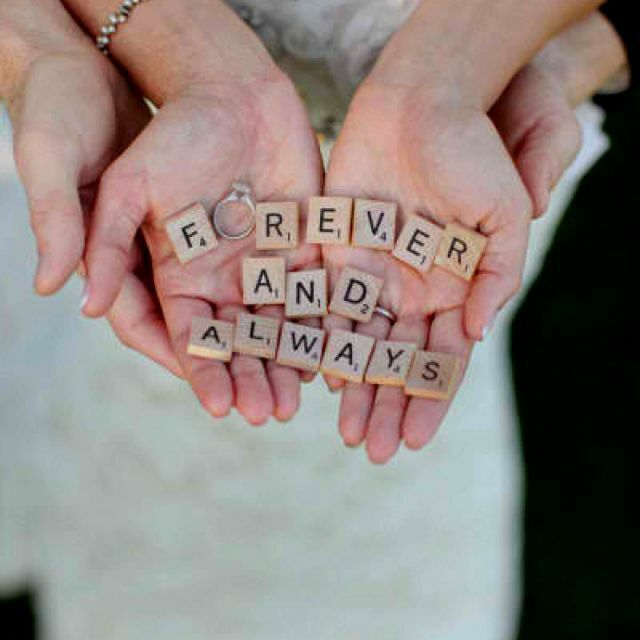 Wedding – My friends (“Lizzie & Darcy”) got married and it was lovely! I’m so glad to have been a part of it and I cried watching two of my best friends make their love for each other official. I also missed the bouquet toss and most of the dancing but not on purpose. I got roped into helping decorate the cars and it took a lot longer than we expected. I also really liked how the hair dresser did my hair. I asked for a fauxhawk and that’s what I got! 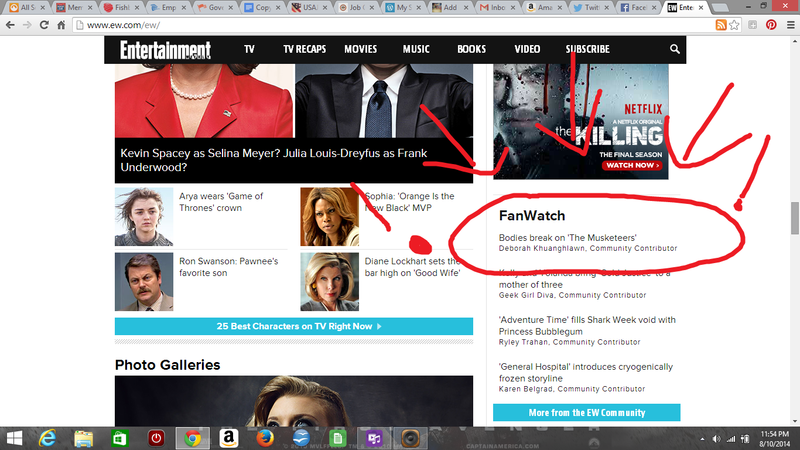 And finally, my recaps on The Musketeers on Entertainment Weekly is still going strong. My latest recap was featured on the main EW.com home page! So that’s what’s been going on with me. How have you been? This week is going to be super exciting. Two of my best friends are getting married this weekend! And I couldn’t be happier for them. I’m really happy because I’m close friends with BOTH the bride and groom. I love this couple and am really glad they’ve included me in their day. We have a running joke that their love story is basically Pride and Prejudice and well…this was them. I’m also excited because this is the first time that I’ll be a bridesmaid in a wedding. I know, I know. There are several of you out there who have been in more weddings that you care to be in and you have all the expensive dresses to prove it. Not counting my own (which well, we won’t really talk about), the only other wedding I’ve been in was when I was 14 and my Sunday School teacher got married and along with the rest of the girls in our class, I was a junior bridesmaid. This meant that I helped out with food and got to decorate the car (butter + flour = one heck of a mess). This time, I’ve been there for lots of planning, bridal showers and bacherlorette parties, dress fittings, jewelry shopping, etc. I even checked out books from the library about how to be a good bridesmaid. You know how everyone says that no one pays attention to anyone but the bride at weddings? Well maybe that’s true for everyone else but for some reason I’ve always noticed the bridesmaids. I’m always jealous of the wedding party. 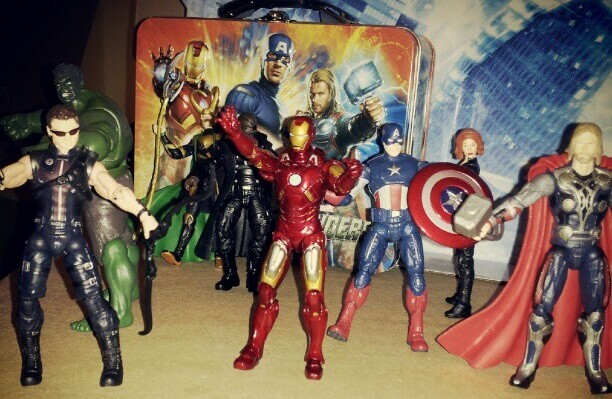 Everyone seems like they all know each other and it’s one big in-crowd. And not that it matters because no one will really be looking at me, I’m really excited about how I’m planning on doing my hair. Thank you to my friend for not being a bridezilla (really, she’s been the most excellent bride ever. Let’s do a TV show on NICE brides for a change?) 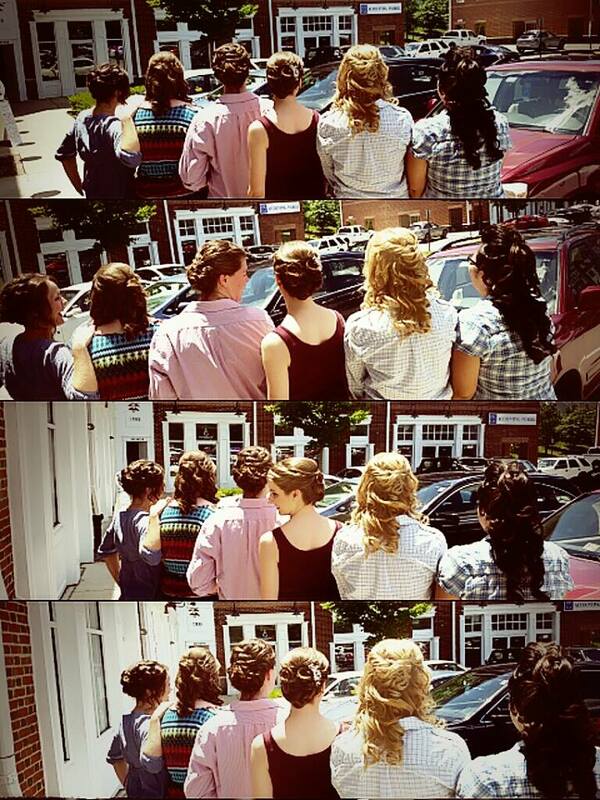 and while we’re all wearing the same dress, we can be our individual selves in our hairstyles. I’m hoping it ends up looking nice because it’ll probably be different from everyone else, but very much ME. Pics may be posted at a later time. Is there potential for this to be hard for me because 1) I had previously had a wedding before and 2) since I’m now single? A little. Not so much about my own wedding because that’s over and done with in the past. If/when I do get married again, there are things I will change plus it’d be a much smaller wedding. As for being single, I am disappointed that while I was allowed a plus one, I (not without trying, believe me) couldn’t fill it. As yet another one of my best friends gets married, my feelings of being left behind do intensify. There’s a temptation to feel like this every time I get invited to a wedding or hear of an engagement. And while I dread dancing at weddings for many reasons, slow dances are going to be worst because at this point if you don’t bring a date there is literally no one left to dance with. But enough about me and my issues. This week is about two of my best friends getting married and how excited I am going to be for their wedding AND marriage. I don’t have the fear that I will lose them afterwards or that it will be a battle of married vs singles. I have been with them from the beginning and seen them go through all the ups and downs and ups again of a healthy normal relationship. I’ve seen them grow not only as a couple but individually they both have grown in ways that will compliment each other as well as positively on their own. I know they love each other and even though it’s not always going to be easy, they are going to have an awesome life together. I better stop talking now because I need to leave some words for toasts later on…..
Confession: I don’t dance. Period. Well not in public at least. Bigger Confession: I don’t really dance at weddings. Doesn’t happen. I didn’t really dance that much at prom either. I just feel like I look incredibly awkward when I dance. I don’t know what to do with my hands, my arms, my legs, or my feet. I’m awkward and extremely clumsy. There was one time I did get out on the dance floor at a wedding last year and then what happened? I slammed into a friend and spilled Coke all over his suit. I went to a club once and it was just awful. I didn’t know what to do with myself and it doesn’t help when you have to bring a purse inside and there’s no good place to put it down. Sure, you can give me the argument that everyone looks awkward on the dance floor. Ok, we all know that is a lie. Some people are born naturally with rhythm and move well. Others just like getting out on the dance floor and letting out energy and being social no matter what they look like because it’s fun for them. Then there’s folks like me who really are ok with just being there and not being on the dance floor. I honestly don’t feel left out when I’m sitting on the side watching you guys get your groove on. I don’t feel self conscious or awkward or clumsy when I’m watching from a table. I feel way more uncomfortable trying to dance and then I don’t enjoy it at all. I think part of the reason is with my personality, I hate it when everyone already knows how do something and I have to catch up. Remember back in PE class when they taught us all the line dances during rainy days when we had to stay inside? Somehow EVERYONE already knew how to do the electric slide and I was the only one who didn’t and both my classmates and the teacher made me feel like an idiot for not being able to learn it like *SNAP*. So since then, I’ve just never really had any motivation to get up in front of other people and dance. Also I think what happens is that people will beg me to come on the dance floor, I finally cave in and do it, and then said people disappear, leaving me to feel, WHY AM I OUT THERE AGAIN?? One more excuse is the music. There are songs that I DO like and CAN move around to and IF those songs are played, there is a higher chance of me being able to be convinced to get out on the dance floor. Unfortunately the majority of these songs are not really played at weddings and/or the couple has a HIGHLY different music taste than I do. Oh and for the record, if you try to get me to do a line dance (Electric Slide, Cupid Shuffle, etc), you will fail. And it will be miserable on everyone’s end. However since I will be a bridesmaid at a wedding where I am best friends with both the bride and groom, I have been threatened that I must dance or I will be demoted. Therefore, all the above probably will have to be amended if I want to be a good friend and bridesmaid. I can change my ways.